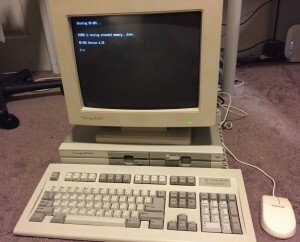 Another recent acquisition is this excellent condition Compuadd 316S slim desktop computer. 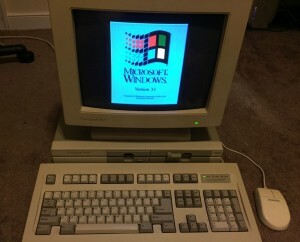 This system contains 300 MEG Hard Drive, 5.25 and 3.5″ floppy drives, 4MB RAM, DOS 6.2 and Windows 3.1. 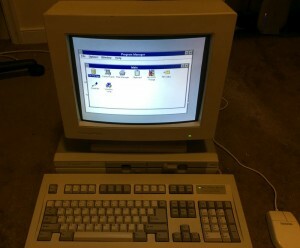 Original mouse, keyboard and Compuadd monitor complete the package. 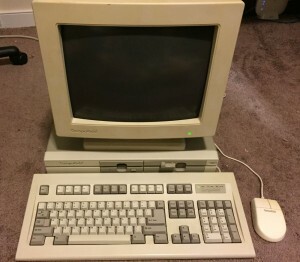 This is another memorable system for me, as a former Compuadd employee in the early 90’s I sold and worked on a number of these systems and ones like it. We are very happy to have this system in the collection, and could not be more pleased with the overall condition of the machine. Date of manufacture is unknown, system was introduced in 1989.